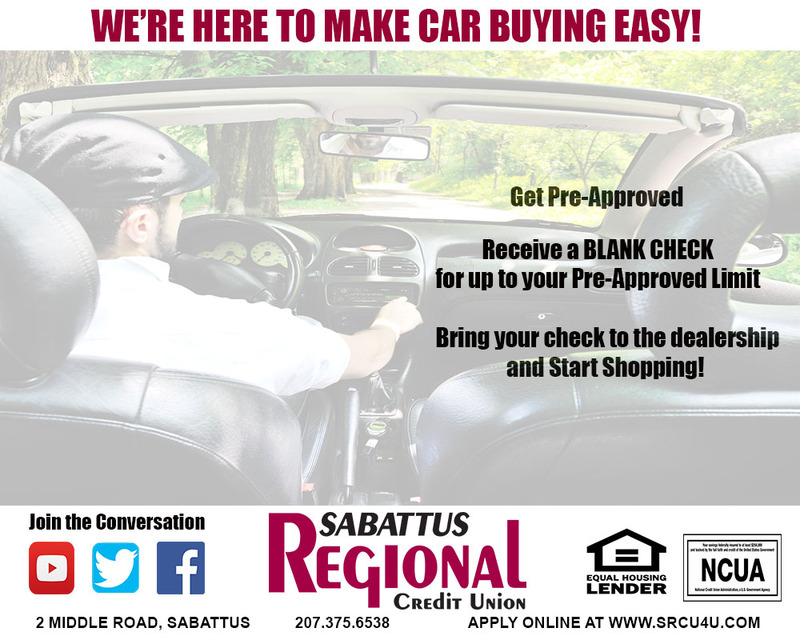 Sabattus Regional Credit Union offers a variety of lending options to meet your needs. Whether you are looking for new home loans, home equity loans, auto loans or more, our loan department is here to help meet your needs! Check out our great rates and don’t forget to view our specials! To report your Visa®Card lost or stolen, contact the credit union at (207) 375-6538, or 1-800-472-3272 24 hours a day, 7 days a week. We do business in accordance with the Federal Fair Housing Law and the Equal Opportunity Act. Your savings federally insured to at least $250,000 and backed by the full faith and credit of the United States Government. If you are using a screen reader and are having problems using this website, please call 207-375-6538 for assistance. © 2019 Copyright · Sabattus Regional Credit Union · All Rights Reserved · Website by Seaside Web Design, LLC · This website contains material for informational purposes only. Any links to other websites are provided only for the purpose of convenience and do not constitute a referral or endorsement of any linked site or its owner. Sabattus Regional Credit Union is not responsible for the contents of any linked site or any link contained in a linked site, or any changes or updates to such sites.